Makes a curtain of bubbles. 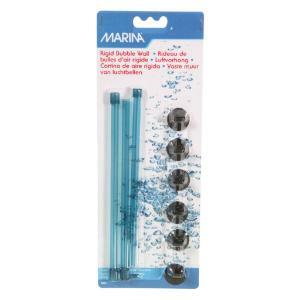 The Marina Bubble Air is ideal for creating a uniform wall of bubbles. It increases surface agitation, accelerates oxygen replenishment and helps release carbon dioxide buildup. 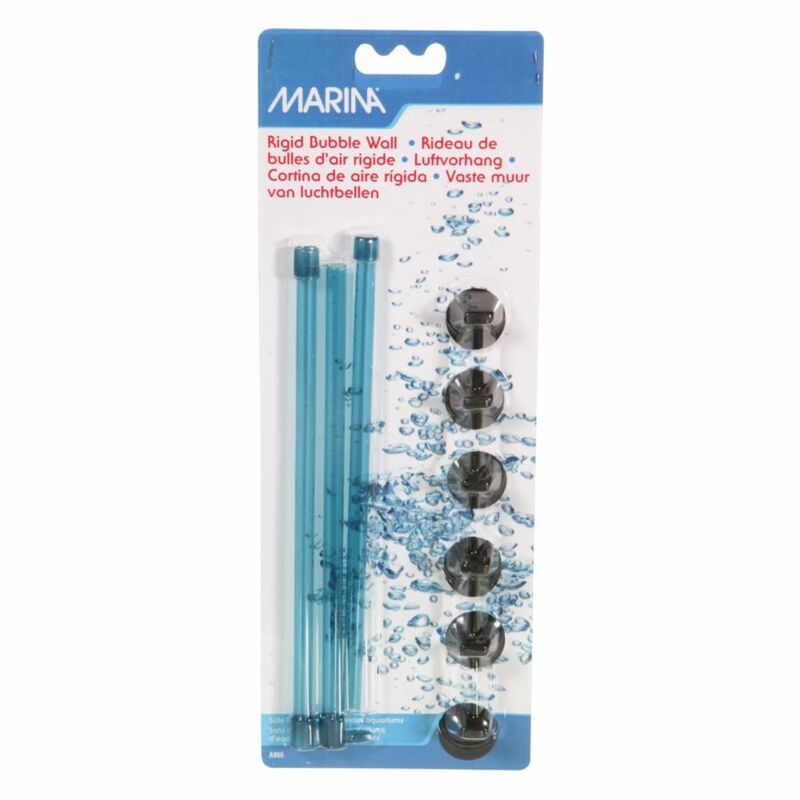 Simply connect the Bubble Air to a Marina air pump using airline tubing and install in the desired location with the suction cups (included). The Bubble Air can also be suctioned to the back of the aquarium. Install additional ones in-line for more spectacular results.